Grand Slam-winning Wallabies coach Alan Jones believes Australia has the playing talent to contend at Rugby World Cup 2015 (RWC), providing they spend hours on the training paddock righting their suspect scrum. 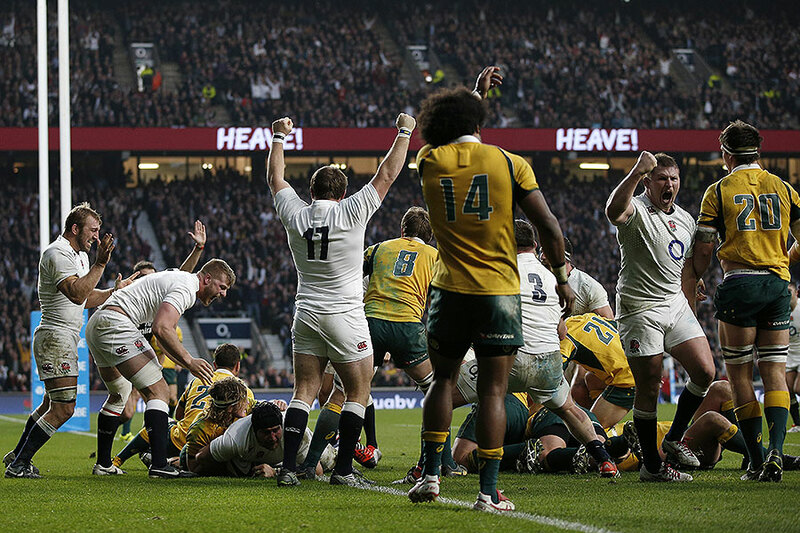 The crucial set-piece has long been Australia's Achilles heel, with last year's narrow defeat to England at Twickenham - the scene of two crunch pool games against the hosts and Wales at this year's tournament - only reinforcing the Wallabies' vulnerabilities at scrum-time. The rise of Melbourne Rebels tight-head Paul Alo-Emile, as well as the form of veteran Reds prop Greg Holmes, has raised hopes the Wallabies will at least have depth up front aside from the incumbent Test tight-head, Waratahs prop Sekope Kepu. But Jones, who led the Wallabies on their historic 1984 Grand Slam tour, isn't sure whether Cheika has the time to nail down the correct scrum technique ahead of the September kick-off. Ruck'n Maul: How did Hunt make train-on squad? "I think Cheika is the best man for the job but I'm not too sure that (2014) European tour helped him," Jones told ESPN. "See what happened on the European tour is they suddenly found out what he most probably knew; that the scrum was very weak...and there's only one way to correct that weakness and that's to get down and pack 80 scrums until you get the technique correct. But they played Tests every Saturday, now he's unable to do that work. Had he packed scrums on Monday and Tuesday, well the boys would not have been able to stand up on Saturday. "So he just basically had to live with those imperfections. And now he hasn't yet had time to pull it together; and if you don't have the scrum and the forward base together you're going to struggle." Cheika has already named a Wallabies train-on squad featuring players from the Reds, Rebels and Western Force after they failed to reach the Super Rugby play-offs. But he won't settle on a final squad for the shortened Rugby Championship until early July, leaving the Wallabies around a fortnight's preparation for their opening encounter with the Springboks. Cheika will however have far more time with his final 31-man World Cup squad, the Wallabies' facing only the United States - as part of a two-week Stateside tour - between the final Bledisloe Cup clash on August 16 and their opening RWC match against Fiji in Cardiff on September 23. The Waratahs and Brumbies are largely expected to dominate Cheika's final squad after they both reached the Super Rugby playoffs for the second straight year. But Jones pointed to the impressive New Zealand conference as the marker for depth; the Hurricanes, Highlanders and Chiefs all reaching the post-season while the Crusaders were only denied by the controversial conference system. "The other thing I'd say in assessing Australia's performance is I don't think I've seen provincial rugby in New Zealand so strong...so we've got the job ahead of us. We've got gifted players but that may not be enough."